REHOVOT, Israel, April 1, 2019 /PRNewswire/ — CollPlant (NASDAQ: CLGN), a regenerative medicine company, today announced financial results for the fourth quarter and year ended December 31, 2018 and provided an update on the Company’s business developments. Certain metrics, including those expressed on an adjusted basis, are non-GAAP measures. See “Use of Non-IFRS (non-GAAP) Measures” below. CollPlant reported revenues of $4.2 million for the fourth quarter of 2018. The Company ended the fourth quarter of 2018 with $5.4 million in cash and cash equivalents. Comprehensive income for the fourth quarter of 2018 was $1.0 million on a GAAP basis, or adjusted comprehensive income of $904,000, on a non-GAAP basis. 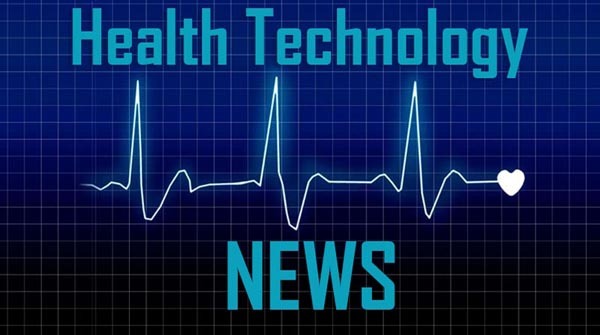 “During the fourth quarter, we were very pleased to enter into a global licensing and commercialization agreement with United Therapeutics (UTHR) for 3D bioprinting of lungs. We recognized $4 million as revenues in 2018 relating to the UTHR license agreement which, when combined with revenues from the sale of our commercialized products, resulted in a net profit during the fourth quarter,” stated Yehiel Tal, CollPlant’s Chief Executive Officer. “In the medical aesthetics market, we are expanding our development scope into the field of surgical incisions. We are currently running a proof of concept study in breast and abdominal surgeries with our VergenixFG product. Our goal is to position CollPlant as a major player in the medical aesthetics market. Additionally, we are pleased to report that during the first quarter of 2019, we supplied our first material order into the aesthetics market,” concluded Mr. Tal. Revenues from the licensing agreement and the sale of our Bioink, VergenixFG and VergenixSTR products for the fourth quarter of 2018 were $4.2 million (NIS 15.8 million), an increase of 1,559% compared to $254,000 (NIS 952,000) for the fourth quarter of 2017. Revenues recognized in the fourth quarter of 2018 are mainly attributable to revenue from the UTHR license agreement in the amount of $4.0 million (NIS 14.7 million). Gross profit for the fourth quarter of 2018 was $4.0 million (NIS 15.0 million), an increase of 1,567% compared to $240,000 (NIS 900,000) in the fourth quarter of 2017. Research and development expenses for the fourth quarter of 2018, net of participations, were $2.5 million (NIS 9.2 million), an increase of 207% compared to $800,000 (NIS 3.0 million) for the fourth quarter of 2017. Research and development expenses, net, for the fourth quarter of 2018 includes royalty expenses paid to the Israel Innovation Authority (IIA) in connection with the UTHR license agreement, amounting to $1.2 million (NIS 4.7 million). General, administrative, and marketing expenses for the fourth quarter of 2018 were $862,000 (NIS 3.2 million), a decrease of 22% compared to $1.1 million (NIS 4.1 million) for the fourth quarter of 2017. Operating income for the fourth quarter of 2018 was $669,000 (NIS 2.5 million), an increase of 140% compared to operating loss of $1.7 million (NIS 6.2 million) for the fourth quarter of 2017. The Company posted a comprehensive income of $1.00 million (NIS 3.8 million), or $0.004 (NIS 0.02) per share, for the fourth quarter of 2018, compared to a net loss of $1.6 million (NIS 5.9 million), or $0.01 (NIS 0.02) per share, for the fourth quarter of 2017. Revenues from the sale of our Bioink, VergenixFG and VergenixSTR products in the year ended December 31, 2018 were $4.8 million (NIS 18.0 million), an increase of 959%, compared to $453,000 (NIS 1.7 million) in the year ended December 31, 2017. Revenues recognized in 2018 are mainly attributable to revenues from the UTHR license agreement in the amount of $4.0 million (NIS 14.7 million). Gross profit for 2018 was $4.4 million (NIS 16.6 million), an increase of 938% compared to $427,000 (NIS 1.6 million) for the year ended December 31, 2017. Research and development expenses for the year ended December 31, 2018, net of participations, were $5.2 million (NIS 19.4 million), an increase of 38% compared to $3.8 million (NIS 14.1 million) for the year ended December 31, 2017. Research and development expenses, net, includes royalty expenses paid to the IIA in connection with the UTHR license agreement, amounting to $1.2 million (NIS 4.7 million). General, administrative, and marketing expenses for the year ended December 31, 2018 were $3.3 million (NIS 12.5 million), an increase of 51% compared to $2.2 million (NIS 8.3 million) for the year ended December 31, 2017. Operating loss for the year ended December 31, 2018 was $4.1 million (NIS 15.3 million), a decrease of 26% compared to $5.5 million (NIS 20.8 million) for the year ended December 31, 2017. Comprehensive loss was $3.7 million (NIS13.9 million), or $0.02 (NIS 0.06) per share, for the year ended December 31, 2018 compared to a net loss of $5.6 million (NIS 20.9 million), or $0.05 (NIS 0.16) per share, for the year ended December 31, 2017. On a non-GAAP basis, the operating costs and expenses for the fourth quarter of 2018 were $3.1 million (NIS 11.8 million), compared to $1.6 (NIS 6.0 million) for the fourth quarter of 2017. The comprehensive income on a non-GAAP basis for the fourth quarter of 2018 was $904,000 (NIS 3.4 million), or $0.004 (NIS 0.02) per share, compared to comprehensive loss of $1.3 million (NIS 4.8 million), or $0.01 (NIS 0.04) per share, for the fourth quarter of 2017. Non-GAAP measures exclude certain non-cash expenses. The table at the end of this press release titled “Reconciliation of GAAP to Non-GAAP Financial Measures” includes a reconciliation of the Company’s GAAP results to non-GAAP results. The net reconciliation reflects non-cash income in the amount of $104,000 (NIS 309,000) in the fourth quarter of 2018, with respect to (i) change in fair value of financial instruments and (ii) share-based compensation to employees, directors and consultants. On a non-GAAP basis, the operating costs and expenses for the year ended December 31, 2018 were $7.2 million (NIS 26.9 million), compared to $5.3 million (NIS 19.7 million) for the year ended December 31, 2017. The comprehensive income on a non-GAAP basis for the year ended December 31, 2018 was $2.6 million (NIS 9.7 million), or $0.02 (NIS 0.06) per share, compared to comprehensive loss of $4.9 million (NIS 18.3 million), or $0.04 (NIS 0.16) per share, for the fourth quarter of 2017. Non-GAAP measures exclude certain non-cash expenses. The table at the end of this press release titled “Reconciliation of GAAP to Non-GAAP Financial Measures” includes a reconciliation of the Company’s GAAP results to non-GAAP results. The net reconciliation reflects non-cash expenses in the amount of $1.1 million (NIS 4.1 million) in the year ended December 31, 2018, with respect to (i) fair market value attributed to services received through a securities purchase agreement with an investor (the “Share Purchase Agreement”), (ii) change in fair value of financial instruments and (iii) remeasurement of liability to the IIA, and (iv) share-based compensation to employees, directors and consultants. For more information on the non-GAAP financial measures, please see the “Reconciliation of GAAP to Non-GAAP Financial Measures” table on page 10 in this press release. This accompanying table on page 10 has more details on the GAAP financial measures that are most directly comparable to non-GAAP financial measures and the related reconciliations between these financial measures. As of December 31, 2018, the Company had cash and cash equivalents of $5.4 million (NIS 20.7 million), compared to $4.7 million (NIS 17.8 million) as of December 31, 2017. The increase was mainly due to $2.6 million (NIS 9.9 million) in proceeds generated by financing activities and $4.9 million (NIS 18.4 million) from the UTHR license agreement. The Company utilized $1.2 million (NIS 4.7 million) in cash to fund its operating activities during 2018. For the convenience of the reader, the amounts have been translated from NIS into U.S. dollars, at the representative rate of exchange as of December 31, 2018 (U.S. $1 = NIS 3.748). The Company’s consolidated financial results for the twelve months ended December 31, 2018 are presented in accordance with International Financial Reporting Standards. A copy of the Company’s annual report on Form 20-F for the year ended December 31, 2018 has been filed with the U.S. Securities and Exchange Commission at www.sec.gov and posted on the Company’s investor relations website at http://ir.check-cap.com/. The Company will deliver a hard copy of its annual report, including its complete audited consolidated financial statements, free of charge, to its shareholders upon request to CollPlant Investor Relations at 4 Oppenheimer, Weizmann Science Park, Rehovot 767104, Israel or by phone at +972-73-232 5600. This press release may include forward-looking statements. Forward-looking statements may include, but are not limited to, statements relating to CollPlant’s objectives plans and strategies, as well as statements, other than historical facts, that address activities, events or developments that CollPlant intends, expects, projects, believes or anticipates will or may occur in the future. These statements are often characterized by terminology such as “believes,” “hopes,” “may,” “anticipates,” “should,” “intends,” “plans,” “will,” “expects,” “estimates,” “projects,” “positioned,” “strategy” and similar expressions and are based on assumptions and assessments made in light of management’s experience and perception of historical trends, current conditions, expected future developments and other factors believed to be appropriate. Forward-looking statements are not guarantees of future performance and are subject to risks and uncertainties that could cause actual results to differ materially from those expressed or implied in such statements. Many factors could cause CollPlant’s actual activities or results to differ materially from the activities and results anticipated in forward-looking statements, including, but not limited to, the following: the Company’s history of significant losses, its ability to continue as a going concern, and its need to raise additional capital and its inability to obtain additional capital on acceptable terms, or at all; the Company’s expectations regarding the timing and cost of commencing clinical trials with respect to tissues and organs which are based on its rhCollagen based BioInk, dermal fillers for aesthetics, VergenixSTR, and VergenixFG; the Company’s ability to obtain favorable pre-clinical and clinical trial results; regulatory action with respect to rhCollagen based BioInk, dermal fillers for aesthetics, VergenixSTR, and VergenixFG including but not limited to acceptance of an application for marketing authorization, review and approval of such application, and, if approved, the scope of the approved indication and labeling; commercial success and market acceptance of the Company’s rhCollagen based BioInk, dermal fillers for aesthetics, VergenixSTR, and VergenixFG; the Company’s ability to establish sales and marketing capabilities or enter into agreements with third parties and its reliance on third party distributors and resellers; the Company’s ability to establish and maintain strategic partnerships and other corporate collaborations; the Company’s reliance on third parties to conduct some or all aspects of its product manufacturing; the scope of protection the Company is able to establish and maintain for intellectual property rights and the Company’s ability to operate its business without infringing the intellectual property rights of others; the overall global economic environment; the impact of competition and new technologies; general market, political, and economic conditions in the countries in which the Company operates; projected capital expenditures and liquidity; changes in the Company’s strategy; and litigation and regulatory proceedings. More detailed information about the risks and uncertainties affecting CollPlant is contained under the heading “Risk Factors” included in CollPlant’s most recent annual report on Form 20-F filed with the SEC, and in other filings that CollPlant has made and may make with the SEC in the future. The forward-looking statements contained in this press release are made as of the date of this press release and reflect CollPlant’s current views with respect to future events, and CollPlant does not undertake and specifically disclaims any obligation to update or revise any forward-looking statements, whether as a result of new information, future events or otherwise.